I’ve been holding off on writing this post given that the well-intentioned among you might be observing Lent but now that Easter is finally here I could think of no better way to commemorate it than with photos of a gluttonous feast. 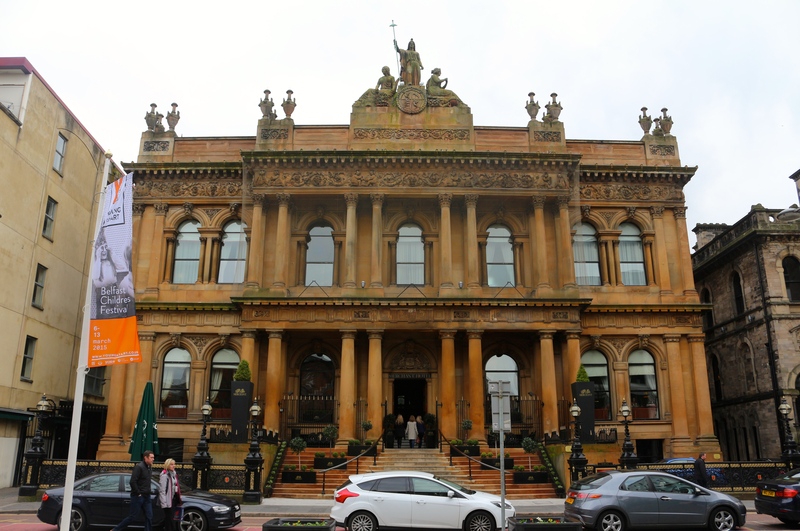 Last month the stars aligned and I was able to come home to celebrate Mothers’ Day with my number one girl and what better way to pamper my mama than with a special afternoon tea at Belfast’s Merchant Hotel. 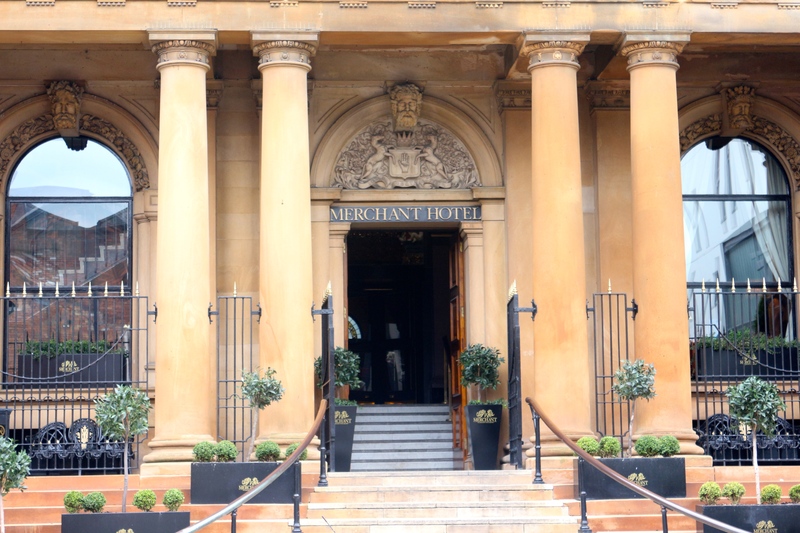 The Merchant is one of the most iconic hotels in Belfast and the perfect place to celebrate the most important people in your life. Afternoon Tea is served in the hotel’s Great Hall and the opulent surroundings give your time there a real sense of occasion. 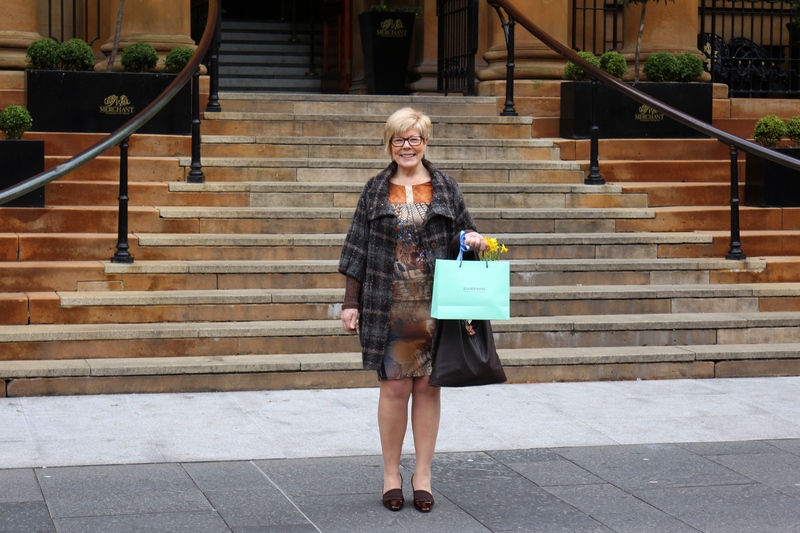 The place was bustling; full of cherished mothers being celebrated by their families and The Merchant got in on the action by giving all mothers a beautiful gift of pretty spring blooms and beauty products from their spa. 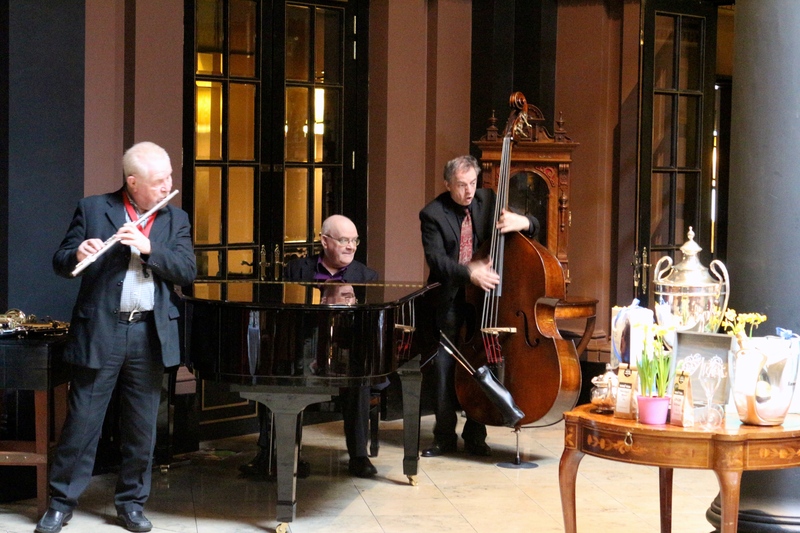 We went on Mothering Sunday itself and were treated to some fabulous musicianship from this trio. 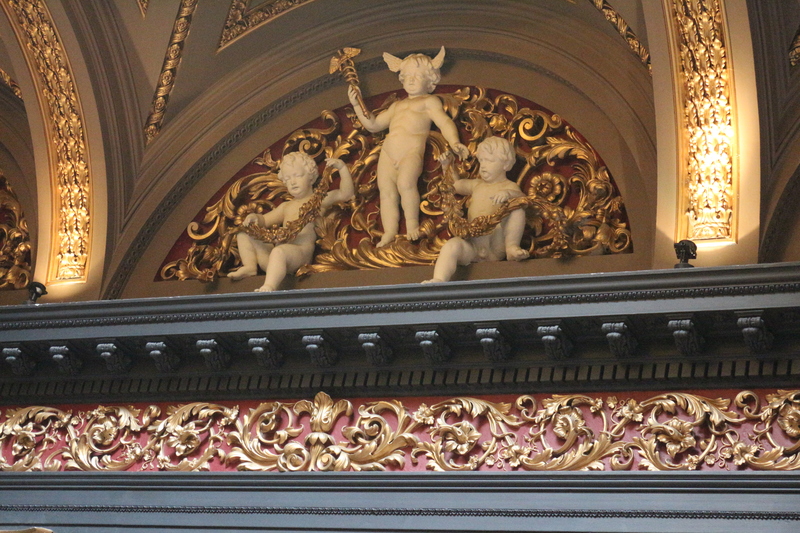 They were really fantastic and their being there really enhanced our visit. If you’re planning on going to The Merchant for Afternoon Tea try to book for a weekend as it’s the only time the musicians are there and they really are worth hearing! We kicked off our afternoon with a glass of pink champagne each (quite decadent, I know, but I’ve only got the one mum and she deserves it!) The staff were so lovely and it seemed a bit like we were brought a never-ending supply of treats as we were offered delicious freshly baked breads to sample as well as little tarts and macarons that had just been prepared. It was a really nice touch! 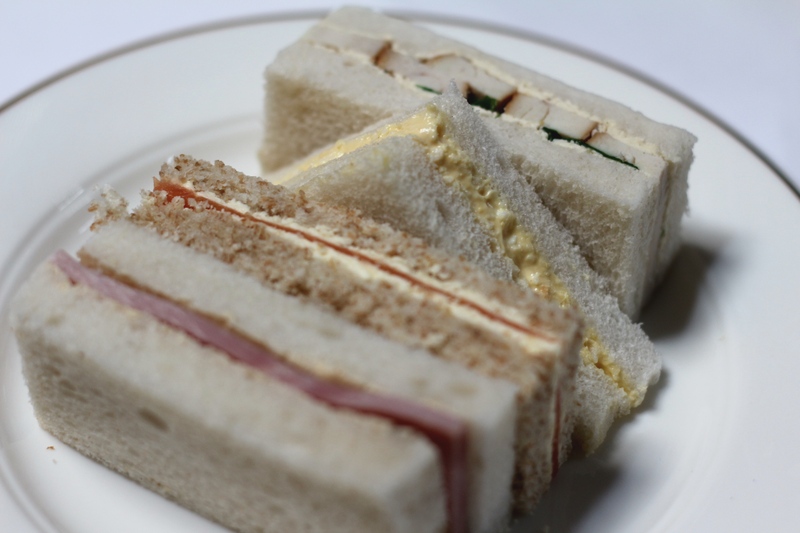 We had a mountain of food to choose from including a selection of finger sandwiches; freshly baked plain and fruit scones, kept warm under a blanket of crisp Irish linen; jam and cream (of course!) and not one but TWO plates of exquisite, hand-crafted desserts. The tea element of the event was hard chosen from an extensive menu and after much deliberation we both decided upon Apple Loves Mint which I can highly recommend. 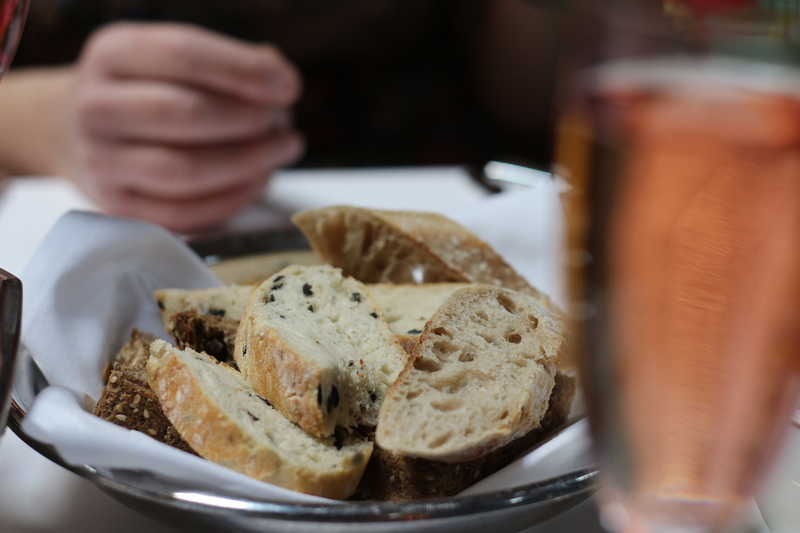 It was delicate and fresh and a light accompaniment to the food. As you can imagine, we had a lot of food to get through and one dessert in we had to admit defeat but The Merchant kindly boxed up what we weren’t able to finish so we could enjoy it later at home. We had a fantastic time celebrating my lovely mama. 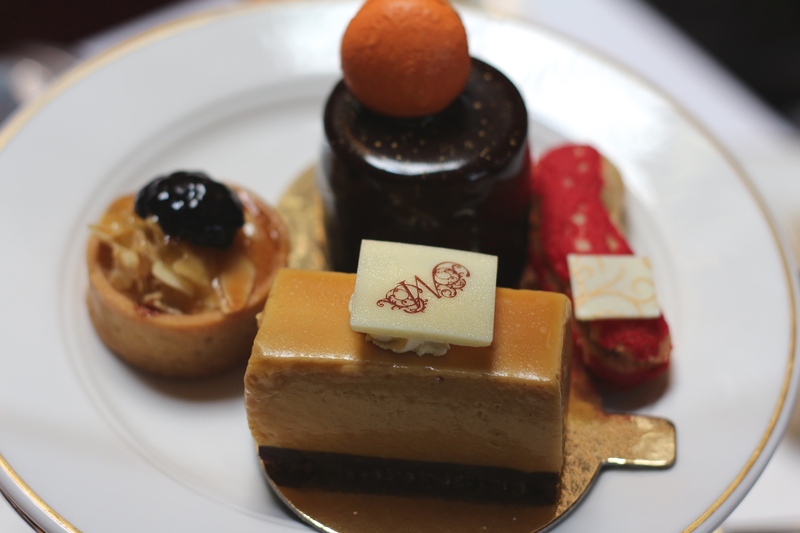 Service is first class and exactly as you would expect from such an iconic hotel. I think it is an expensive treat for a special occasion but one that is worth saving up for. We spent a few hours soaking up the atmosphere and enjoying one another’s company. 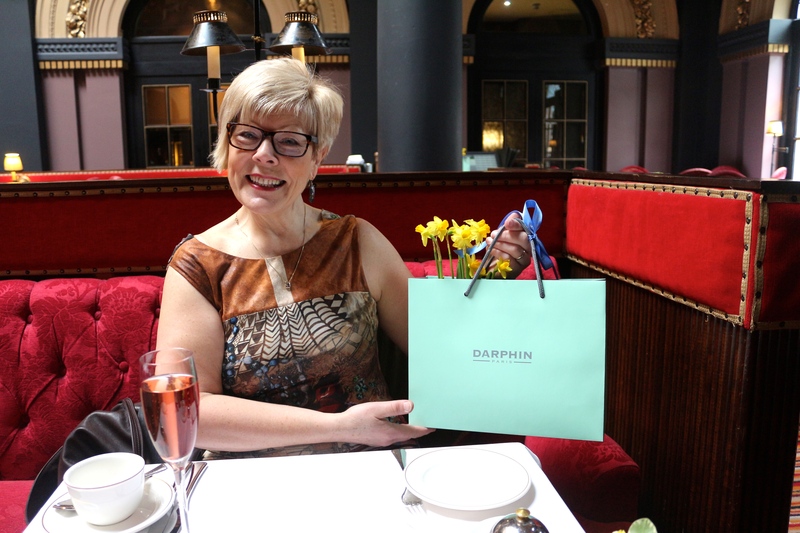 If you are visiting the city or just want to treat someone special, (or yourself!) I would definitely recommend booking a place for Afternoon Tea. Over the weekend of 11th and 12th April The Merchant is hosting Fabulous Fashion Teas where you can take in a catwalk show, enjoy their Champagne Afternoon Tea, take home a goodie bag and peruse the fashion boutiques who will be there on the day. Tickets are priced at £35 per person and you can find out more about the event here. What a special way to celebrate your mom! 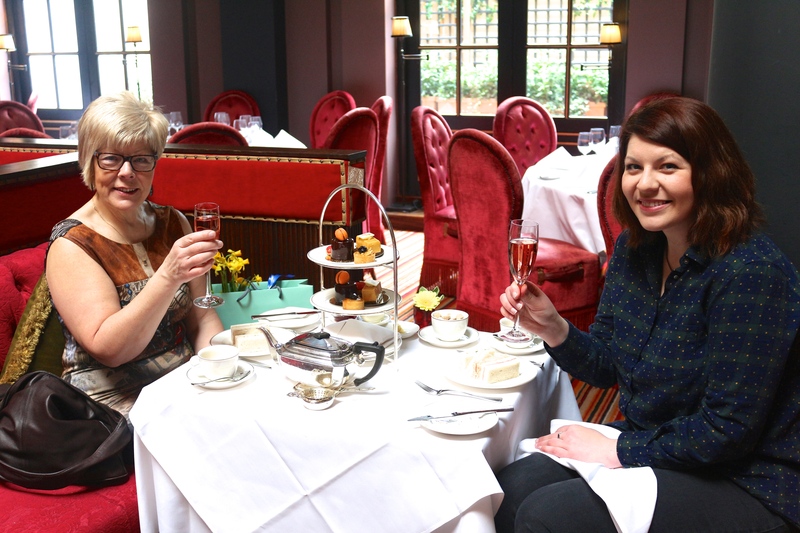 I have never been to an Afternoon Tea and now you have inspired to take my mom to one this summer. I only hope I can find a similarly gorgeous location to do so in Portland, Oregon.